Appearance: clear coppers and blood oranges. Nice head fades into nothing. Slow steady stream of bubbles from first quaff to last. Nose: yeasty, doughy, spicy, phenolic, and tropical. Green banana skins, papaya, and guava. Ginger and cumin for a solid kick of spice. Coconut husks. Raw dough. Palate: clean, spicy, and yeasty. White pepper. Coconut husk, green banana skins, papaya, and guava. Lovely. Plantains in the back swallow, long and lingering. Ginger and cumin spice tickles back of throat. Tickle on top of tongue with bitterness of coconut husk, guava and papaya skins. Flavors melt together perfectly. Dryness is gentle and creates a welcome thirst for more. 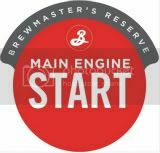 Final Thoughts: another deliciously different and intriguing Brewmasters Reserve from the ever creative genius of Garrett Oliver and the Brooklyn Brewery.